Batesville’s Living Memorial Program – Over 13 million trees planted! The significance of a unique life is symbolized in the planting of a tree. Since 1976, Batesville’s Living Memorial program has been responsible for reforesting thousands of acres of woodlands, one seedling at a time. Today, more than 13 million trees stand as living legacies to family members, friends and loved ones in forests throughout the United States, Canada, Australia, and the United Kingdom. The Living Memorial is a tangible symbol of Batesville’s commitment to helping families honor the lives of those they love, ® a mission that has sustained the company for more than a century. For the last 40 years, licensed funeral directors have taken great pride in offering this program – free of charge – to families who purchase a Batesville casket or cremation product. * Upon request, Batesville will arrange for a tree seedling to be planted in a national forest or selected woodland as a living memorial. 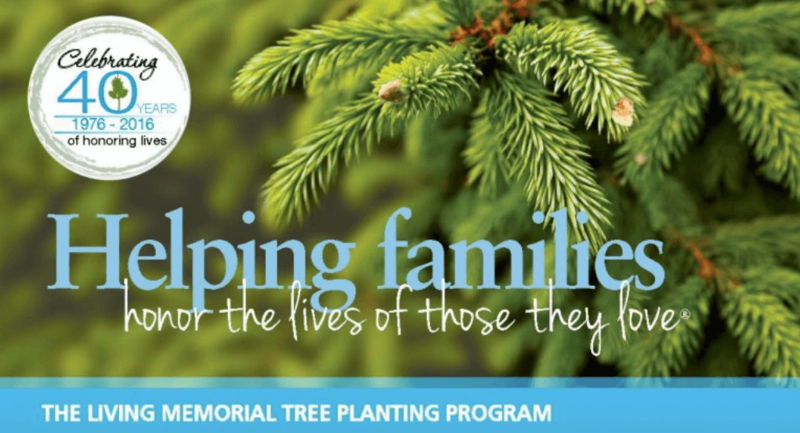 Families receive a letter acknowledging that a tree seedling has been planted in memoriam. While nothing can take the place of a departed loved one, in a time of grief there is comfort in knowing that as one life ends, a new one is just beginning. But more than just a majestic memorial, these trees shelter wildlife, reduce water and wind erosion and contribute to the purity of the air we breathe, helping to improve the environment for generations to come. A single mature tree can release enough oxygen back into the atmosphere to support two human beings. The program is managed in cooperation with the U.S. Forest Service and other international forestry and conservation groups around the world. Tree species and planting locations in the US are selected by the Forest Service, based on areas of greatest need. Typically, these are areas that have been damaged by forest fires, floods or other natural disasters. To date, the program has contributed trees to most of the 155 national forests in the U.S.